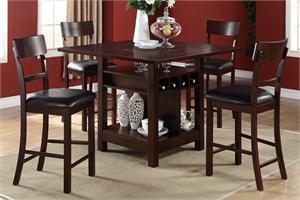 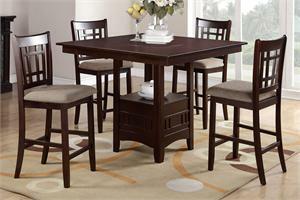 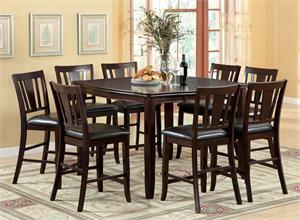 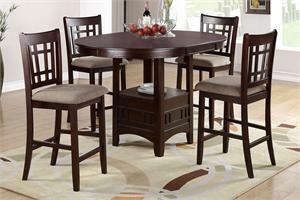 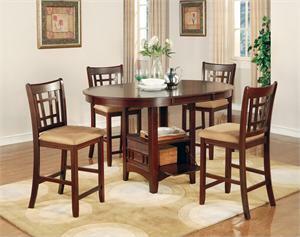 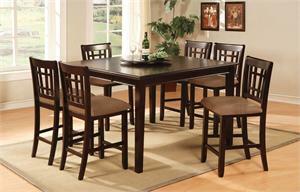 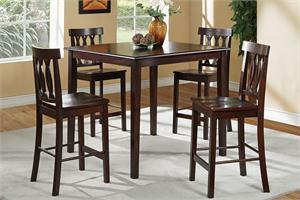 Be bold and daring with this counter-height dining set. 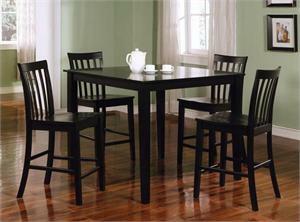 Slat chairs are distinguished by an airy back design that welcomes natural light. 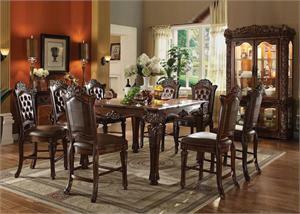 Cushioned seats are upholstered in a warming fabric, creating soft contrast that emboldens the finish. 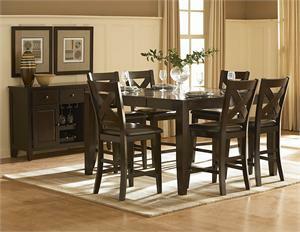 Solid legs create clean lines and the spacious top provides plenty of room for everyone. 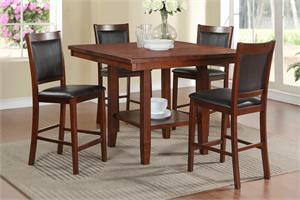 Redefine with the two-tone dining set that delivers clean lines and sharp contrast. 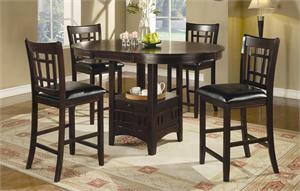 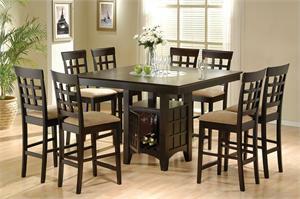 SOLD ONLY AS A SET OF 5 PIECE COUNTER HEIGHT DINING.